Today marks the final day of our fresh-from-the-farm color palette series, so here's the grand finale :: a super trippy color explosion of rainbow chard! 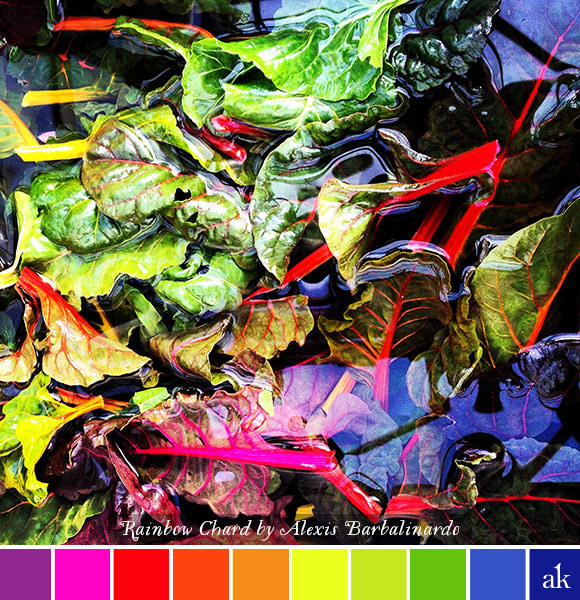 Featured photographer Alexis says she "just can't get enough of rainbow chard in a tub." Alexis' Fun Fact :: If you eat this everyday, you'll turn into a unicorn. THANK YOU, Alexis, for sharing your amazing photos! Happy Friday!